If I told you that becoming a Christian would make your life harder, would you still become one? The message many are attracted to today is one of sunshine and butterflies. However, this does not align with scripture. The reality is: being a Christian makes your life more difficult. Let’s look at Acts 5:17-42. The Apostles are out and about proclaiming the Good News of Christ’s return. What do they get for it? Imprisoned. An angel lets them out and tells them to go right back to proclaiming the good news. Most of us would have considered ourselves lucky to be out and then find a place to lay low for awhile, right? We probably would not stand outside the very same prison preaching! When the Sanhedrin sent for them, they got the message that the Apostles somehow got out of a locked cell and past the Roman guards and escaped… to outside the prison where they were doing what they got arrested for in the first place. I’m sure Gamaliel did a face-palm at that one. They are arrested again (nicely this time). Long story short, they are flogged and told not to preach again. So, what did the Apostles do? They rejoiced. 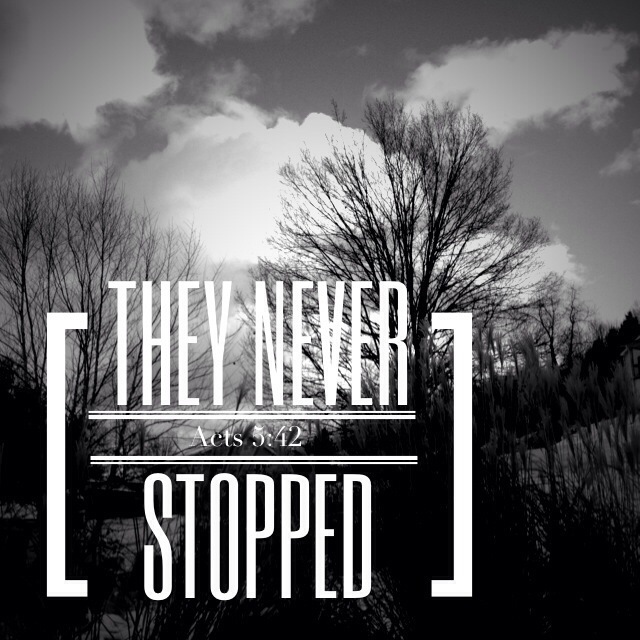 They considered themselves honored to suffer in Christ’s Name… and then they went out and did it again. “Day after day” “They never stopped,” it says. personally. If anyone should get special treatment, it would be these guys. But they didn’t, and we shouldn’t expect it either. Things will be tough. Life will seem unfair and darkness may overshadow us at times, but that should not deter us from rejoicing about Jesus and His Return. If we suffer for His Namesake, it should be an honor, not a curse. We are probably not going to arrested. If so, I highly doubt we are flogged. We got it easy! So let’s stop expecting life to be sunshine and butterflies all the time and realize that to be a Christian is to have a tough go at it. But that doesn’t mean we don’t Praise God for every blessing and every hardship that comes along. This entry was posted in Christian and tagged Bible, Christian, God, Gospel, Holy Spirit, Jesus. Bookmark the permalink.